Temple is a city in Bell County, located near the county seat of Belton, Temple lies in the region referred to as Central Texas. Located off Interstate 35, Temple is approximately 25 miles east of Fort Hood, 65 miles north of Austin, and 34 miles south of Waco. According to the 1013 census, the population is approximately 70,190. 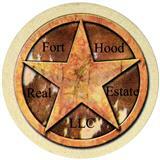 It is a "principal city" in the Killeen – Temple – Fort Hood Metropolitan Statistical Area. Temple is known for its strength as a regional medical center (this is primarily due to the highly respected Scott & White Memorial Hospital. Scott & White is the largest employer in town with about ten thousand employees. With Scott & White, the Central Texas Veterans Health Care System - Olin E Teague Veterans' Center, and other smaller clinics, Temple is home to more physicians per capita than any other community in the nation. Temple is the site of one of two major campuses for the Texas A&M Health Science Center College of Medicine. Medical students can elect to spend all four years of their medical education training or their two years of clinical training on the campus. to view the official Temple TX website .